The Do No Harm Award pays tribute to, and inspires, hospitals , health care workers, institutions, and communities that choose safer, toxic-free and better alternatives. The Do No Harm Award seeks to recognize outstanding hospitals, health care workers, institutions, and communities in Asia that are leading the way to a healthier environment. Through their stories, experiences, and commitment to move to a healthier environment in health care settings, others will be inspired to work towards the same goal. In just over a few years, HCWH-Asia has had significant impact on the health system in the Philippines. It has worked on the passing of the Department of Health (DOH) Administrative Order 21 on the gradual phase-out of all mercury containing devices in all Philippine hospitals by 2010 making the Philippines the 1st Southeast Asian and the 1st developing country to have a national legislation on mercury phase-out in hospitals. HCWH-Asia ikewise did the 1st documentation of a national government mass immunization project which showed that disposal of waste is possible without incineration—all this coming from the 1st country in the world to ban the use of incinerators! The organization’s Health Care Waste Assessment Project (HWAP) in Metro Manila, province of Northern Samar and Baguio City, on the other hand, documented waste management practices of different hospitals that are serving as model to other hospitals in the region and around the world. Influencing national government towards health policies responsive to environmental health needs of a country is another achievement for HCWH-Asia. In the 2009 Philippine General Appropriations Act, Php13.2 million was allocated for purchase of mercury thermometers in government-run hospitals in the country. The Philippine Health Insurance Corporation (PhilHealth) also announced that they would no longer accredit hospitals who continue to use mercury devices. PhilHealth is the country’s government health insurance system with 16.46 million members and 68.67 million beneficiaries. HCWH-Asia, in collaboration with other civil society organizations, also initiated action for the sound distribution if the national budget, and made sure that no country becomes a dumpsite of other country’s rejects. In 2008, the Philippine Congress cancelled payment for a 1997 onerous loan on 26 medical waste incinerators from Austria that has been decommissioned following a law banning the use of incinerators nationwide. The following year, close to fifty congressmen signed the petition calling Austrian parliament to cancel the loan. In 2008, Php100 million were allocated for the purchase of an alternative medical waste treatment facility. Through the Do No Harm Award, HCWH-Asia will honor the contribution, dedication and perseverance of hospitals, health care workers, institutions and communities for bringing healthier environment in the health care system and choosing safer, toxic-free and better alternatives. 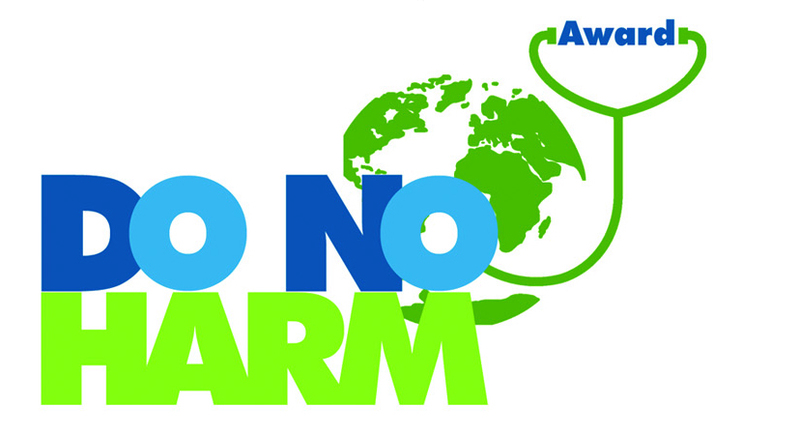 The Do No Harm Award will be given to hospitals, health care workers, institutions and communities whose story of environmental activism and accomplishment shares that of HCWH-Asia’s goal of transforming the health care sector so that it is ecologically sustainable and safer to public health and environment. Read about the most recent awardees here.